What’s brilliant content without an audience to read it? Building a thriving community of readers is easier said than done for both organizations and bloggers, and it’s easy to feel like it’s just a pipe dream that could never actually happen to you. You might even have a healthy following on social media (which is a feat in itself) but find that your content is falling short in the clicks department. Let’s get one thing straight: the lack of traffic doesn’t necessarily speak towards the quality of your blog. Every piece you publish could really resonate with your daily readers, but that doesn’t signify growth. Whether you currently have 10 or 10,000 readers, growth is essential! Medium is an online publishing platform with over 60 million daily active users created by the co-founder of Twitter, Ev Williams. It’s an open space for readers and writers alike, and unique in the fact that good stories can rapidly gain exposure. Medium is kind of like Twitter, just with long-form content. 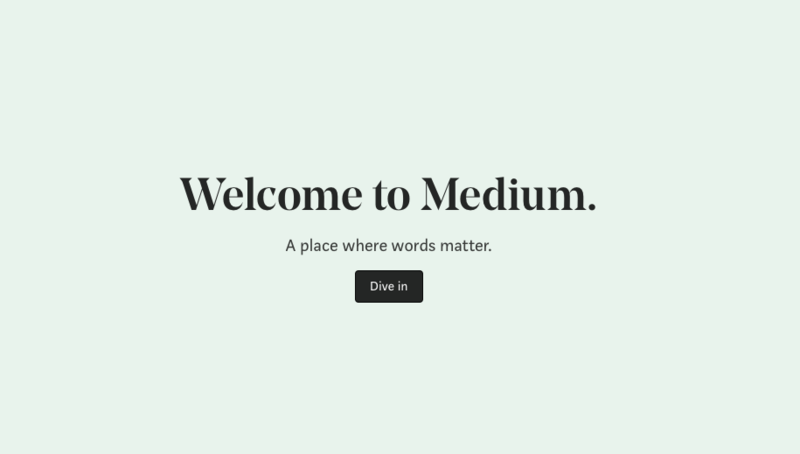 How does Medium work? Medium is free to join (sign up by connecting with Google or Facebook), and readers can also upgrade to a membership for $5/month, giving them uninhibited access to in-depth tailored content. Since its inception in 2012, Medium has become a hub for creatives and life-learners to soak up endless inspiration. There’s a whole host of whistles and bells that make it a dream for budding publishers, but there’s a lot of work that goes into being successful on this growing platform. So, why should you publish on Medium? You don’t have to publish content natively on Medium, or give up your current website in order to have a presence. Medium gives you the ability to import your work from any place on the web, effectively re-publishing it to their platform. 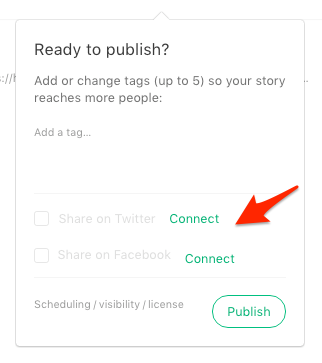 With a single click, your story can be copied from your own personal website on to Medium. I know what you’re thinking but, no, you won’t receive any duplicate content penalty by taking advantage of this feature, because syndicating content is different than duplicating content. In terms of SEO, Medium will help you out! If you’re not sold already, it doesn’t stop there. 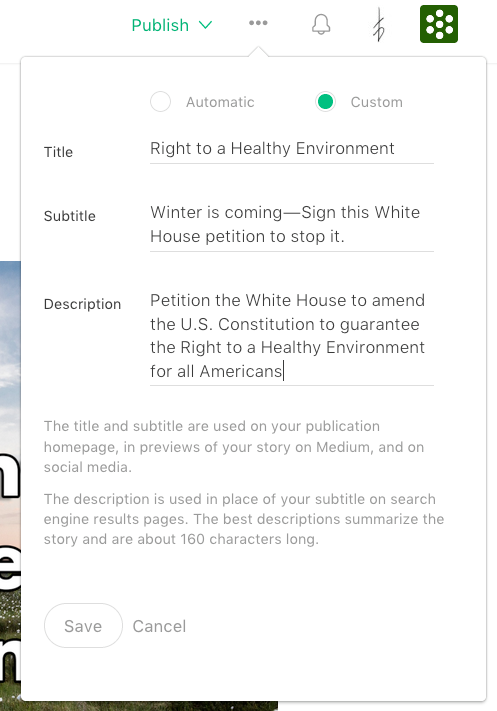 You can alter your content after importing it to Medium, from customizing the title, editing the document and moving images around. I wouldn’t go as far to call the features limitless … but it’s pretty dang close! Medium makes the whole process as easy as possible, providing you with detailed instructions on how to import posts from WordPress and other platforms. And if you want to do it manually, there’s a guide for that too. 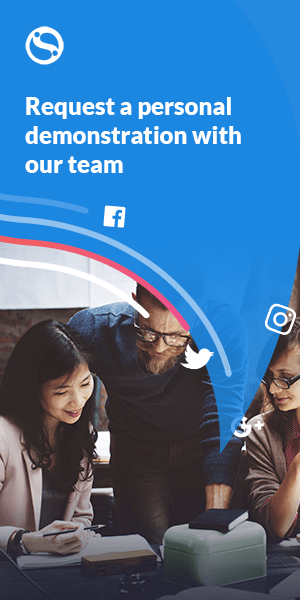 If you’ve worked to create a large following on social media networks, you want to stay connected with them in every way possible. If you connect your Medium profile with Twitter and/or Facebook, you will automatically be connected with your followers who are already on Medium! They’ll then start seeing all of your content that appears on the site. Linking your Medium account to social media pages also allows other people to discover you. Medium works to ensure you’re easily discovered when you share something on Twitter or Facebook. Pro-tip: Elevate your hashtag game by using specific hashtags to self-promote yourself and make it easier to be grouped according to a niche topic. While you can connect with your current social media followers on Medium and incite new Medium followers from social media, you can also get more social media followers from Medium. Your social media handles can be placed at the end of every article, so if your content is hitting its mark, you might find your social media numbers climbing from the exposure. You’re not going into this blind! You might take one approach with the subject matter of your content, but not be getting the results you’d like. So, you try something else and want to know how it stacks up. Medium has a pretty good idea of what makes for a popular article, but also provides the capability to look at how your own content is performing. Check out the metrics of each post, from how many people viewed it, to how many read it to the very end, and even the average time each reader spent on the article. Views are the number of visitors who clicked on a story's page, while Reads tells you an estimate of how many viewers have read the entire story. Fans represent the number of unique users which clapped for any given story. Click on "Referrers" under each individual post title to open another screen with info on traffic for that post. From this data, you can get a pretty good idea of the reaction or overall sentiment of an article’s performance, and can use that when comparing your content against each-other. This feature doesn't need to be activated, all you have to do is just click on your user icon and navigate to Stats. From there you can go on to make the needed adjustments to get back on track! If you’re active on Twitter, you know that engagement rates can often be disappointing. You might have high impressions but accumulate only a handful of likes or clicks. There are roughly 6,000 new tweets per second and the lifespan of each tweet is typically less than half an hour so, sadly, your content doesn't get that much attention. This isn’t the case on Medium, where the ‘best’ content is rewarded by being on top. 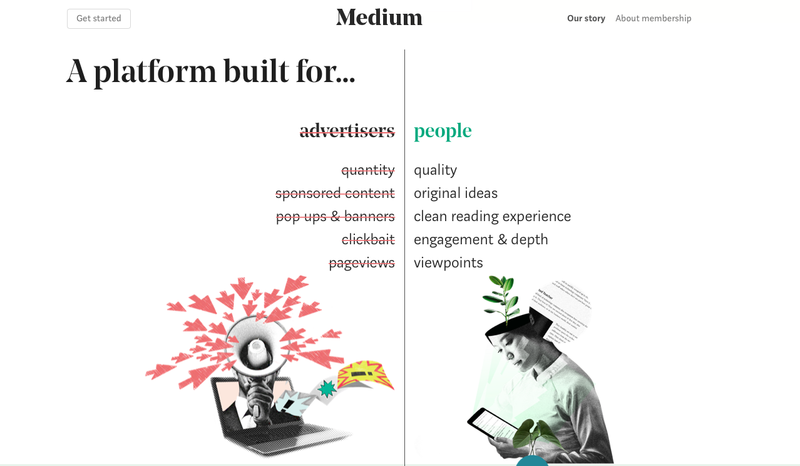 One of the biggest bonuses of Medium: it comes with an audience! There are millions of monthly readers on the platform that are at every writer’s fingertips. You have the unique opportunity to convert some of the site’s readers into your audience. The key is to get people to click on the ‘hearts’ icon for your story and subsequently recommend it to other people. The more hearts you get, the better rank you get and the more visible your story becomes. If you get 200 likes or more in less than 24 hours, then chances are that you will end up as one of the stories of the day. Top stories are featured front and center on the Medium homepage, and might end up in the daily digest email. The exposure, if you’re able to write a story of the day, is huge. This is how your audience is able to keep growing on Medium! Creativity, consistency and great stories. You won’t have to worry about Medium’s API, because it’s open to all publishers! This is what allows individual writers to get their content published anytime, anywhere. Guidelines within a restrictive API can be essential, but are also undoubtedly responsible for facilitating noise and spam on certain platforms. When it comes to Medium, the lack of an API makes things appear calmer by reducing the amount of noise (and stress). You won’t have to worry about fake followers or throwaway platform on Medium. It’s clean and authentic. With that, you’re able to have a real sense of how your content is doing. This is insight that you may not be able to get on other platforms. Yes, big publishers are hanging out on Medium. They’re no longer excited about getting lots of underwhelming pieces of literature in their mailbox and why would they when there are a host of talented writers across platforms like Medium? They scout the entire site looking for exciting talent. It might even be in your best interest to add your resume to Medium, because it looks good and it just might be a key element in being discovered. Although it shouldn’t be your number one reason for writing on the site, posting content with this in mind could be a strong motivating factor in keeping your stories sharp and in line with quality standards. Recruiters are likely scouring popular content because it’s proven that audiences connect to those stories. They’re reading articles of the day and looking at how people react to them. From this, it’s fairly easy to gauge if you can transfer the same energy to their publications and bring your loyal readers with you. As long you are consistent with your posts and show some level of creativity, you’re more likely to spark the interest of publishers like Forbes, Business Insider or the Huffington Post. Are you looking for a larger audience or a platform where your voice can really be heard? If you’re willing to put in the work and a little TLC, Medium could help you turn things around. You have all the tools to build a solid presence, and those tools paired with compelling topics will get you a long way … just don't let all the hearts go to your head! Do you have any tales to tell about your experience on Medium? Who are your favorite budding writers? Let us know in the comments! 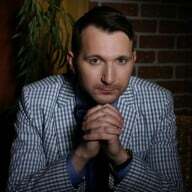 Kevin is a professional educator and a private tutor with over 8 years of experience. He is also a content writer for various blogs about higher education, entertainment, social media & blogging. During his off time, Kevin enjoys traveling and cooking. Feel free to connect with him on Twitter and LinkedIn.